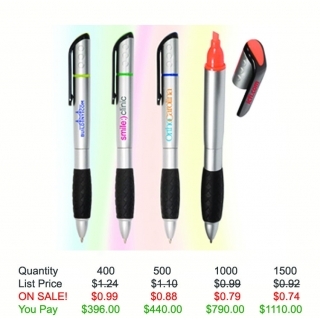 Highlight your brand's advertising efforts with something that office workers and students will love! 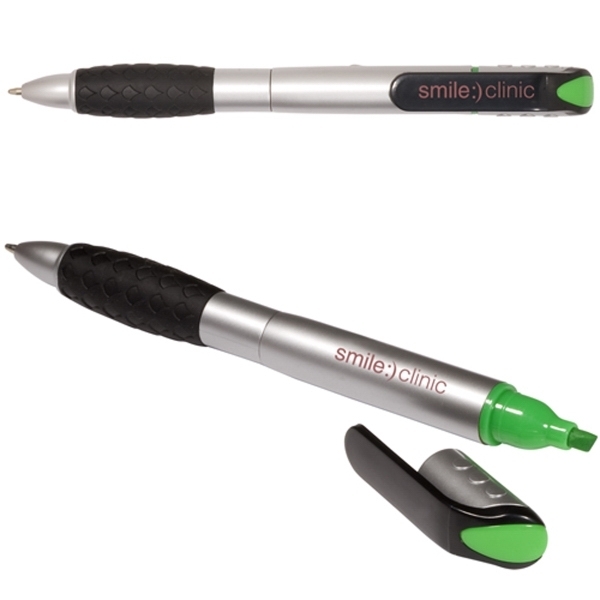 The Silvermine pen and highlighter combo tool features a plastic body, a twist-action mechanism, medium point black ink, a ballpoint tip and a rubber grip that offers a touch of ergonomic comfort. 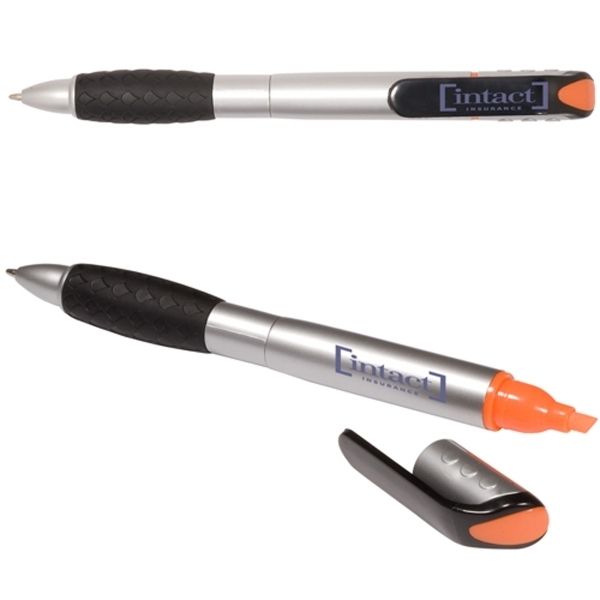 The highlighter ink matches the tool's trim color. From trade shows to employment fairs, connecting with clients, customers and colleagues is easy with this promotional tool! 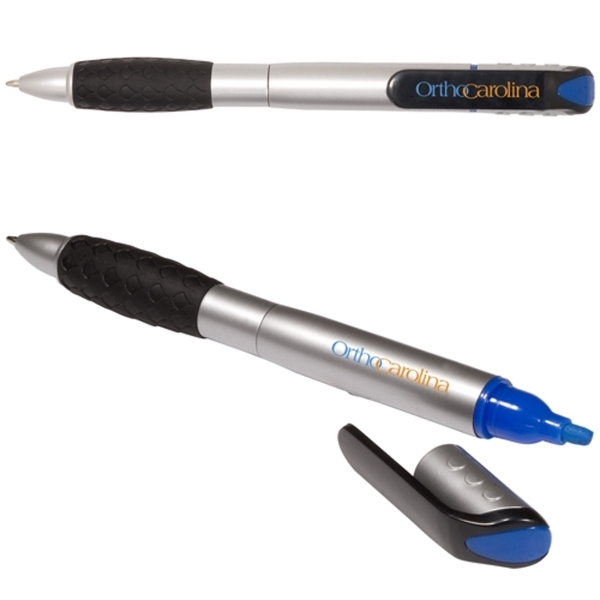 This pen also comes with Free Setup, Free Artwork and Free Shipping. Imprint Size: 1-1/2"w x 3/8"h.
Shipping Weight: 750 pieces per carton, 39 lbs per carton - FREE Shipping! 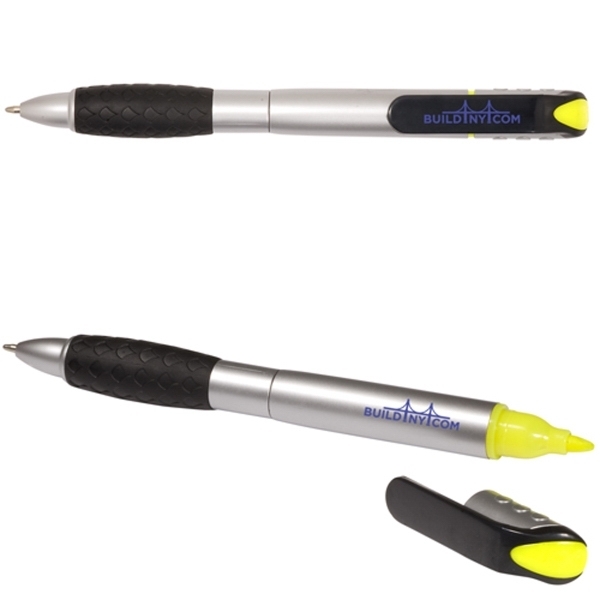 We absolutely love these pens, and the highlighter duo thing is perfect for our employees! Everyone that comes in asks us for them too, so we will be ordering again really soon! See you then!